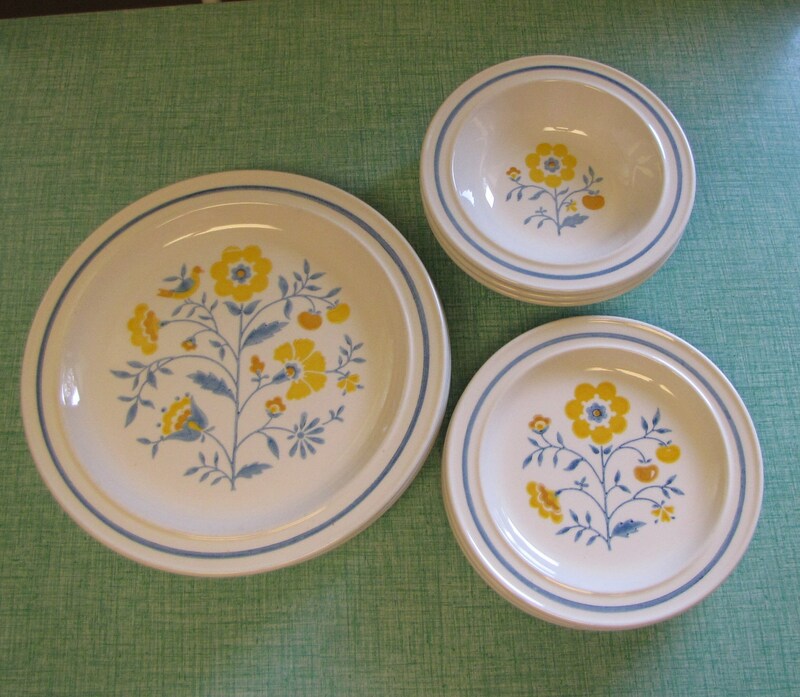 The 4 retro dinner plates are in very good vintage condition. Some utensil marks you need the light to see, otherwise they have no chips, cracks, or crazing on them. 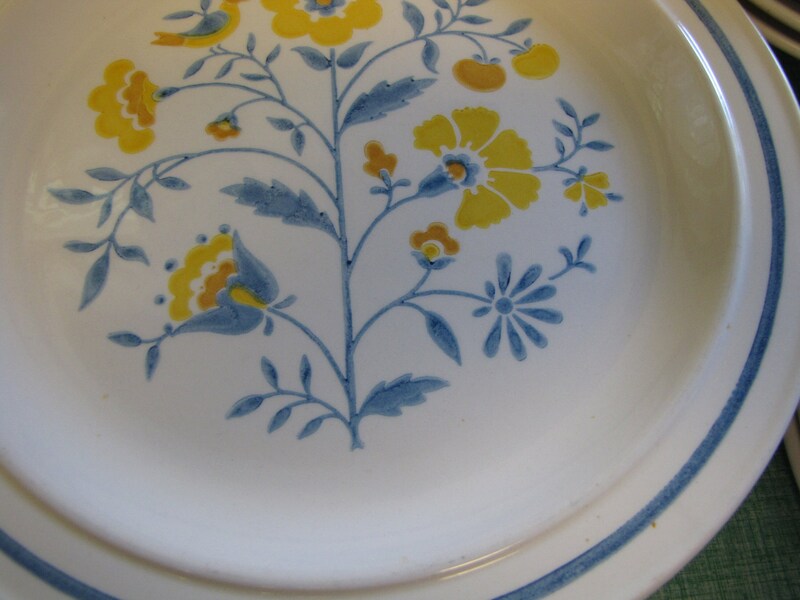 One plate (see pictures) has a line in the glaze across the main flower. This is a flaw in the glassmaking process. The plates measure 10 inches in diameter. 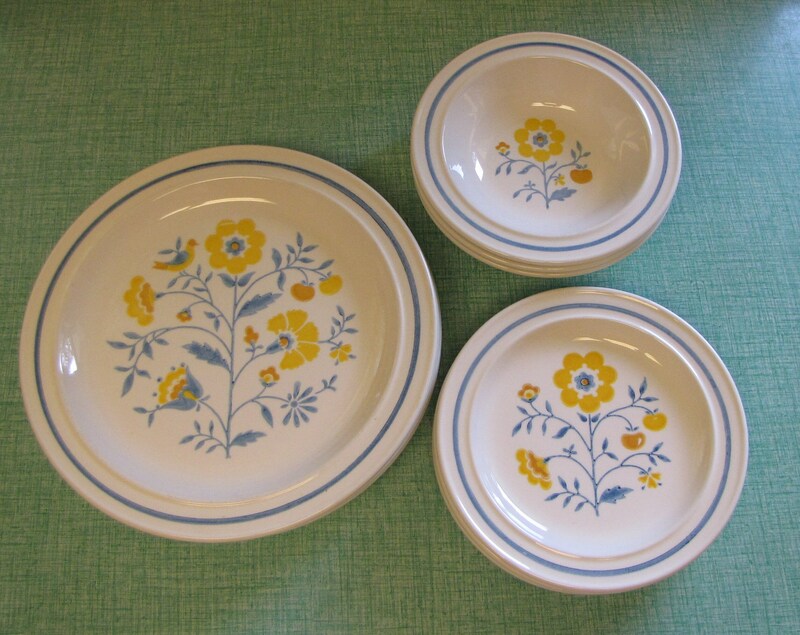 The 3 retro soup bowls are in very good vintage condition. Some utensil marks you need the light to see, otherwise they have no chips, cracks, or crazing on them. 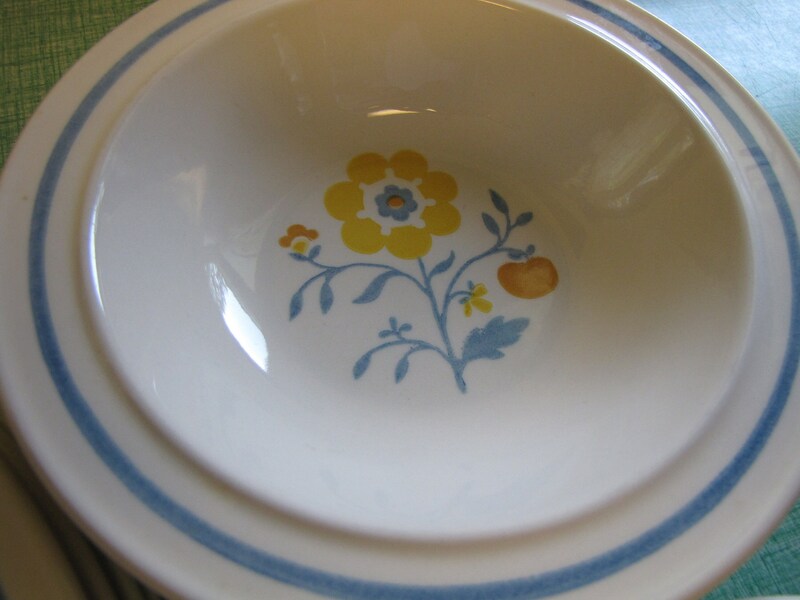 The bowls measure 7 inches in diameter; rimmed to rimmed and are 2 inches tall. The logo on the back stamp dates the pattern to the 1980s (plates are stamped 1982). 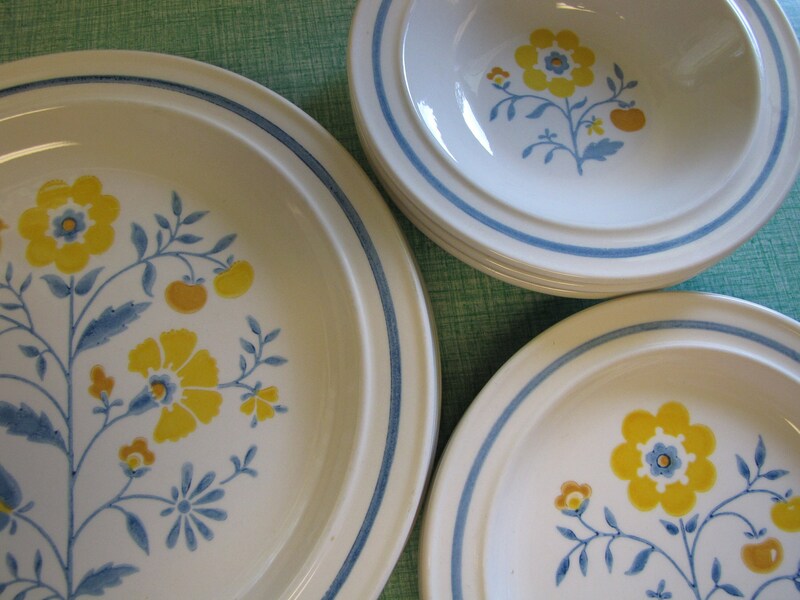 The 4 retro salad plates are in very good vintage condition. Some utensil marks you need the light to see, otherwise they have no chips, cracks, or crazing on them. 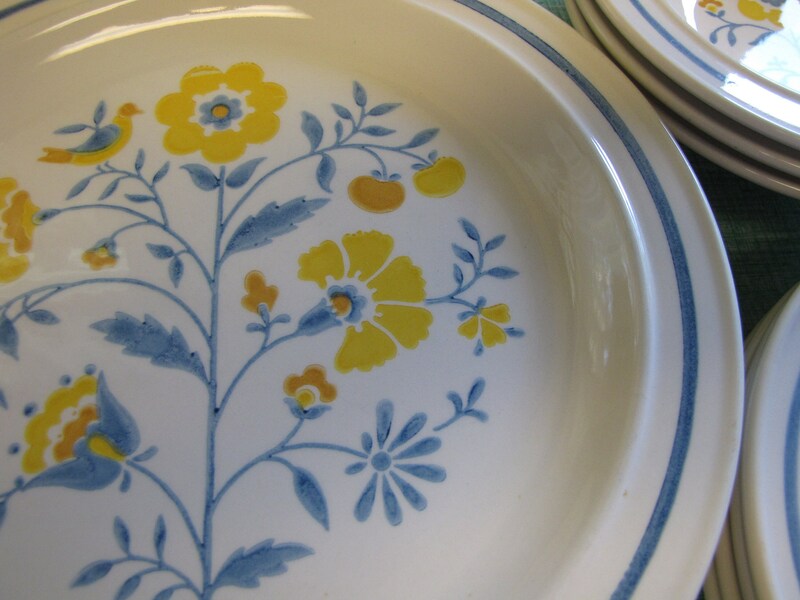 The plates measure 7.25 inches in diameter. The logo on the back stamp dates the pattern to the 1980s (plates are stamped 1982). 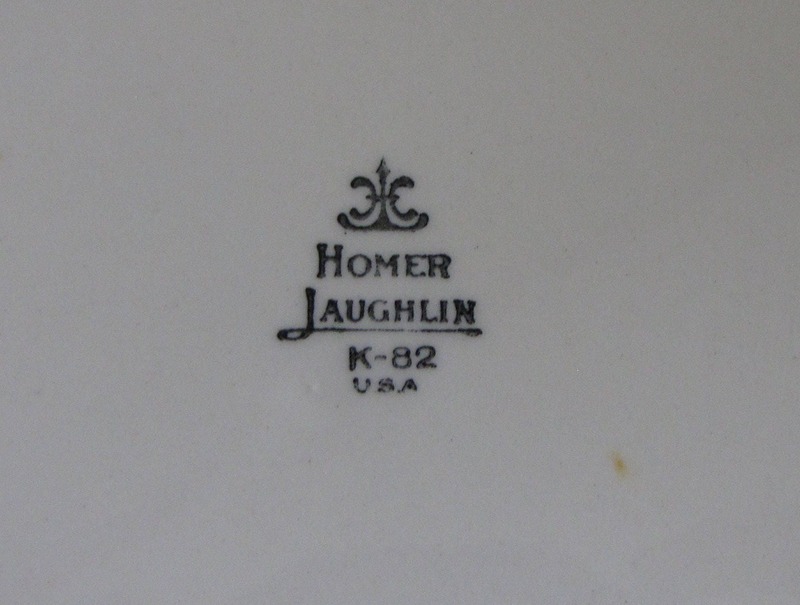 Homer Laughlin was founded in 1871 by Homer and Shakespeare Laughlin, brothers from East Liverpool, OH. 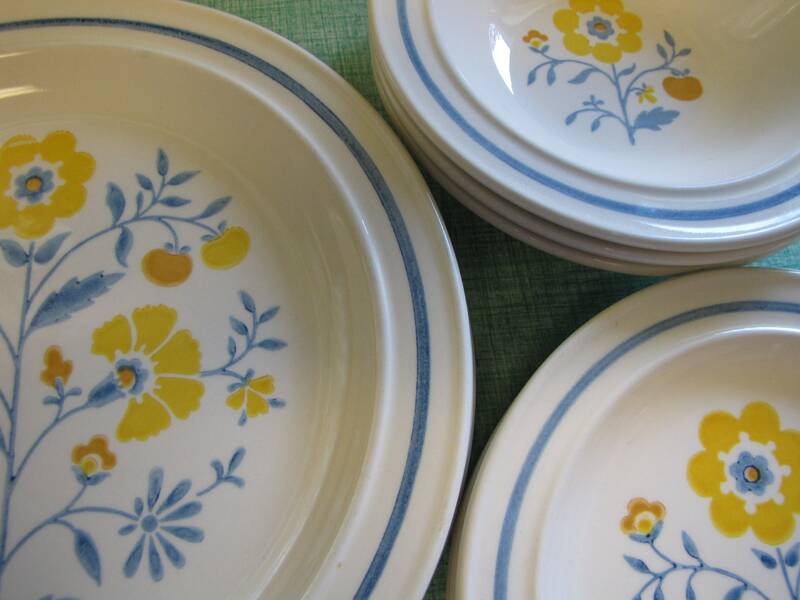 The company has survived changing industry practices, the wars, and the decline of American dinnerware because of inexpensive imports. In its day, Woolworth's was one of its main customers. Frederick Hurten Rhead was hired as design director in 1927 until 1942. 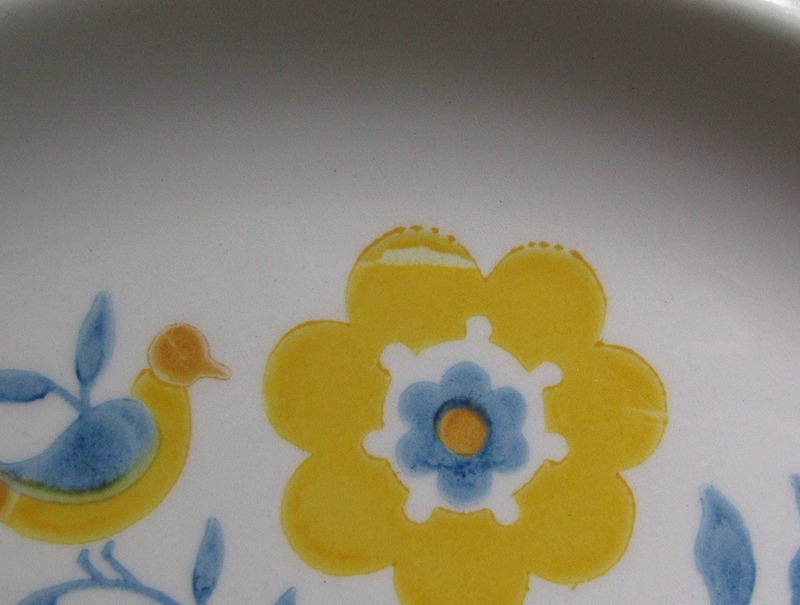 Rhead designed Virginia Rose as well as the several Eggshell shapes. Rhead's most famous accomplishment, however, was Fiesta. By 2002, ownership of the company was shared by third, fourth and fifth generation members of the Wells and Aaron families. To consolidate resources Joe Wells III and his sisters, Jean Wicks and Elizabeth McIlvain, purchased the interests of the other stockholders. When Joe stepped down, his sister Liz McIlvain took over as president in 2012. She was the first woman president in the company. And, the first time the presidency was passed between siblings instead of from father to son. 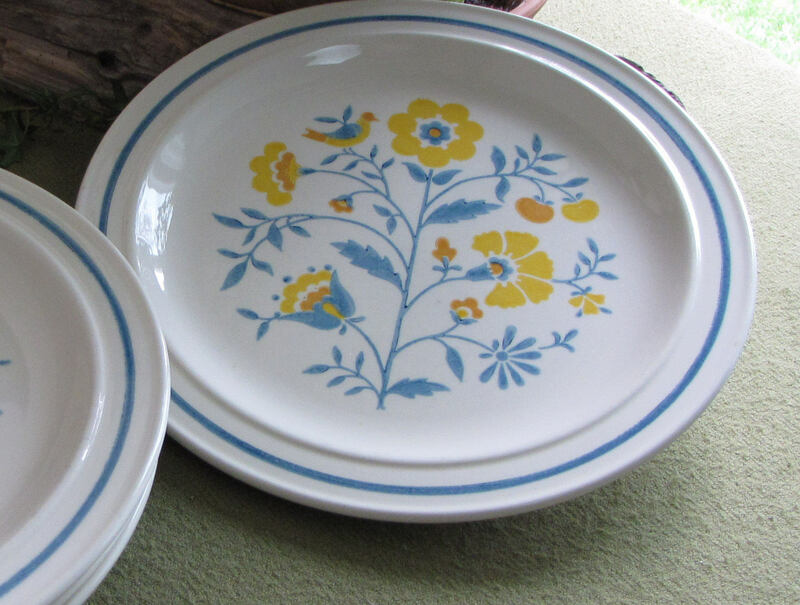 Since the re-organization, the company has continued to grow and produce quality, American made china and provide jobs for potters of the Ohio Valley.